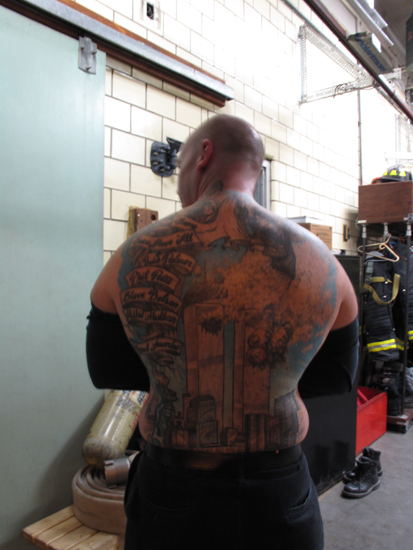 9/11 tattoo on the back of Tiernack Cassidy, firefighter. The tattoo took 50 hours to create and was completed for the first anniversary of 9/11. 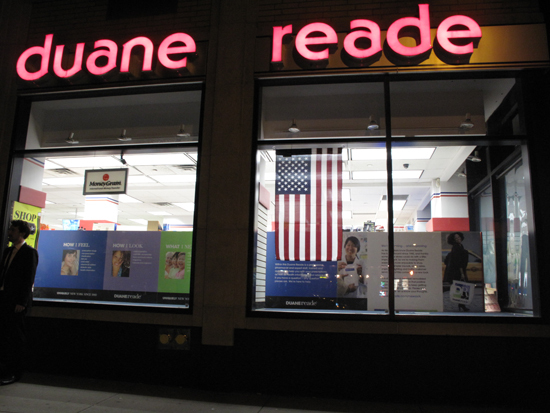 Flag hung in Duane Reade drugstore. 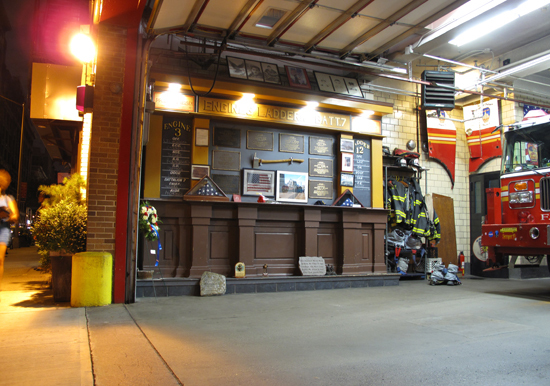 You are currently reading New York City remembers. 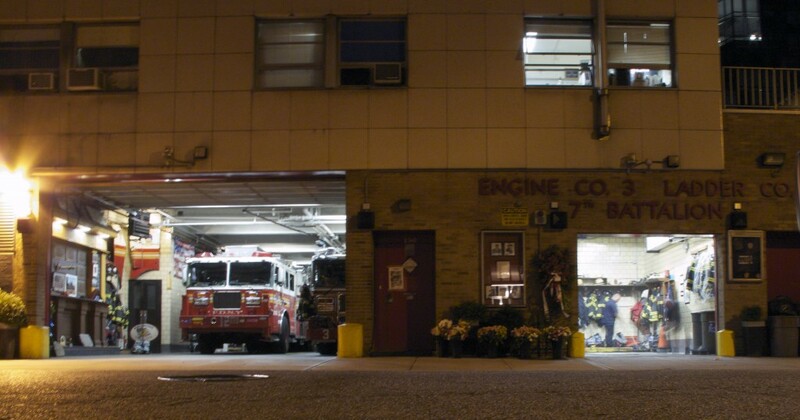 at After 9/11.